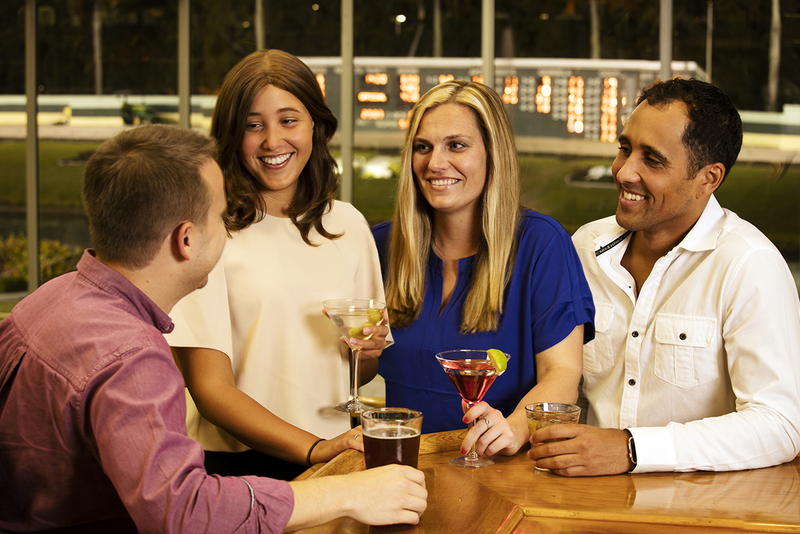 If you're looking for lighter, faster fare, The Terrace has something for everyone. Light snacks and drinks are available at our concession stands, and cocktails are served at our fully stocked bars. For something a bit more substantial, The Terrace Restaurant, Trophy Room and Deli offer a variety of appetizers, drinks, entrees and desserts. Located on the track's second floor, The Terrace Restaurant offers full service casual dining at finish-line tables in air-conditioned comfort. Handicapped seating and tables with flat screens are also available.